When i got home from the island (i.e yesterday evening) i began thinking about how food was not an issue and wasnt even something i thought about before saying yes to travelling out to the island. In the past, food, being with others and not being able to stand and exercise as much as i wanted would have been the main reasons i said no to doing anything different than being at home and following my normal routines. During recovery i had to eat the same food at the same time... i couldnt eat anything different from my meal plan, i had to measure my food, i had to eat at the right times... or so that is what i thought, but it was all a control thing. I would much rather eat less than eat more, and eating "freely" meatn eating more than i needed or that is what i thought anyway. And when i did eat freely i always ate less than normal as i wanted to make sure i wasnt eating more than i needed. But i can remind you all that a few days of eating more than normal/usual wont make you suddenly gain alot of weight - maybe some water weight due to sodium or more carobhydrates, but it would take alot of calories to actually gain "real fat". But also its ok to eat different and eat at different times or eat different foods, thats the thing about being normal/healthy, those things dont stop you from doing things you want to do. For example i have said no to going going on holiday with friends or spending a weekend at a cabin with friends due to food issues (in the past), ive said no to going to festivals and no to travelling away with family or to Ireland due to the unknown of food, but now food would never be the reason i say no to doing something new or travelling somewhere. It doesnt matter if you are vegetarian, vegan, have IBS or food allergies, you can usually find something to eat and if you do have any food intolerances or certain ways of eating, pack with you lots of snacks to have with you. I always do that when travelling away, i have a bag just filld with bars, protein shakes, fruit etc just incase, and now with different stomach intolerances it is even more important for me to have food that i can eat with me incase the food served will cause me stomach pain. However, i also know that its ok to eat less a few days... ill make up for that later. Its ok to eat more and its ok to eat less, as long as its not an everyday thing!! Onto the advice... If you are trying to follow a meal plan in summer i would try to stick to it as much as possible. Pack with you food if necessary and dont be afraid to tell the people you are with that you need to eat at certain times or eat certain food. The people who are with you should understand that you need to eat. Also be prepared, if you know that you are going away to the beach all day, or going hiking or wandering around a city or town, pack with you snacks. Its not weird to just start eating a bar or flapjack or some fruit, its smart and it means you are prepared! It doesnt matter if others arent eating, you are eating for your own sake and because you need it. Also, have alternative options. In recovery i had to realise that i couldnt always eat yoghurt and muslie (and sandwiches!) for a snack. I couldnt bring that with me, so instead i had to have alternative options and luckily i was able to talk to my dietician about alternative options so i was told that an ice cream (such as a magnum or cornetto) & some form of juice or chocolate milk and a fruit was an alternative afternoon snack for me if i was out and about. Or i could pack with me sandwiches and fruit and some juice. So think about what options you could buy or eat instead if that is the case, and know that an ice cream isnt dangerous and wont make you fat. Not even if you eat an ice cream cone 5 days in a row, enjoy it and dont worry about calories or weight gain, life is more than that!! Know that you might eat at different times and be prepared for that, also be prepared to maybe eat out at restaurants or eat at cafes, and dont compensate just for that!!! And order the food you want :) Even if you are on holiday and eating at restaurants/eating out all the time, order what you want... you're on holiday, so enjoy!! To summarize, my best tips are to 1) Be prepared and pack with you snacks anyway. 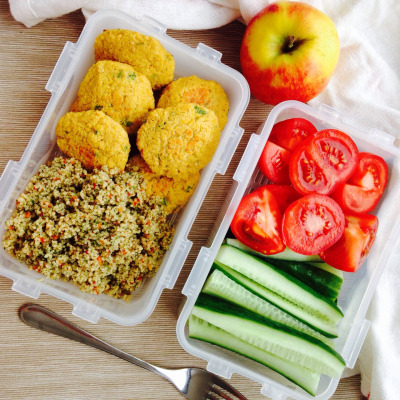 And if you are going to the beach or such then maybe pack with you lunch for example if family or friends are just going to eat salad or sandwiches but that isnt enough for you, then pack with you your own lunch! 2) Be flexible and think out alternatives, you dont need to eat the same thing all the time... recovering is also about facing fears and fear foods! 3) Know that it is ok to eat differently and at different times. It is also ok to eat more a few days, but dont try to compensate! I know this is an old post, but just wanted to say thank you for posting this! I have been dealing with ED thoughts as long as I can remember, but it took a turn for the worst this past year and developed into anorexia. I have been really nervous about the summer and eating at home rather than college and this helped a lot. I have been reading your blog and its very inspirational and has motivated me when I was thinking of compensating for newly introduced scary foods from my meal plan. Thank you so much.